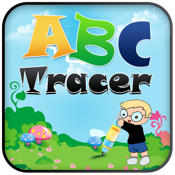 Here is a learning & entertaining application "ABC Tracer" for your loving kids.They get to know about colors, Alphabets, Sketches and lots more while playing. It is definitely a great way for your kids to start learning with their creativity. 1. Teach you alphabets like a tutor in play-way. "You can't buy it you have to earn it"